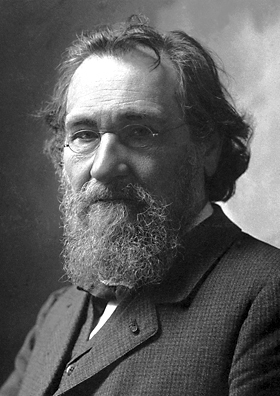 May 16, 1845: Birth of Elie Metchnikoff, Nobel Prize winner. On May 16, 1845, [also listed as May 15] Elie Metchnikoff was born in a village near Kharkoff, Russia (about 350 miles northeast of Odessa in what is now the country of Ukraine). He studied natural sciences at the University of Kharkoff graduating after only two years. He attended a number of universities in Europe after his degree and finished his doctorate at the University of St. Petersburg. At the incredibly young age of 25, he was appointed Titular Professor of Zoology and Comparative Anatomy at the University of Odessa. In 1884, he left Odessa for Italy after the assassination of Czar Alexander II. Some of his earliest research was in the field of embryology where he connected structures in higher animals to similar structures in more primitive animals. After his move to Italy, he focused more on the study of disease. Metchnikoff was a volatile personality who survived two suicide attempts. After his first wife died in 1873, he attempted to take his own life with an overdose of morphine. In 1880, Elie Metchnikoff’s second wife contracted a severe case of typhoid fever but survived. In despair, Metchnikoff injected himself with infected material causing relapsing fever. Some have attempted to explain his actions as an experiment to see if the disease could be transmitted by blood. He became very ill but survived. In his work, Elie Metchnikoff used the microscope extensively. However, his eyesight was poor from birth and he further damaged his eyesight in his early years of study due to over exertion. As a result, he was unable to use a microscope during the period 1867 to 1882. Upon resuming his microscopic studies, Metchnikoff, like other scientists of his day, was interested in viewing microbes and microscopic structures of simple animals under high magnification. However, his interest led him to the development of a description of what was eating the microbes. In 1882 in a laboratory set up in a drawing room in Messina, Italy, he observed the mobile cells in a transparent starfish larva. He noticed that when he introduced a thorn into the larva, specialized cells in the larva attacked the foreign invader. His later studies showed that specialized cells would attack anything foreign introduced under the dermis of the starfish and other animals. He also observed that white blood cells attacked, killed and consumed bacteria and other foreign invaders of the human body. The specialized cells were labeled phagocytes and the process phagocytosis. In humans, this action was part of the inflammation process caused by white blood cells resulting from a body’s defense against infection. He first published his findings in 1883. Metchnikoff’s discovery and subsequent fame generated a number of conflicts with his colleagues, many of which he initiated. In 1888, Metchnikoff left Russia and all of the conflicts and problems that plagued him there and went to work for the world’s foremost bacteriologist, Louis Pasteur. He worked at the Pasteur Institute until he died in 1916. His publication of Lectures on the Comparative Pathology of Inflammation in 1891 and its English translation in 1893 gained him world-wide acclaim. He was awarded the Nobel Prize in Medicine in 1908 which he shared with Paul Ehrlich for his work in phagocytosis. Metchnikoff’s discovery has been recognized as the first demonstration of a human body’s protective process against disease. His work provided part of the foundation of the general field of immunology. During the 1880s others were studying the body’s ability to ward off disease. Metchnikoff’s theory while brilliant did not explain how a person retained the ability to be exposed to a disease without any effect subsequent to an initial infection. Behring’s work on the humoralist theory of immunity appeared to be in direct conflict with Metchnikoff’s but subsequent research would show that they were both part of a larger understanding of immunity. Behring was responsible for discovering the diphtheria anti-toxin and promoting its widespread use. In his well-known book on public health, which was published in 1902, Sedgwick explored the body’s defenses against microorganisms and noted Elie Metchnikoff’s theory of immunity. “…starting with the [now] well-known fact that the white blood-cells are eating –cells (or phagocytes) and readily devour yeast-cells, bacteria-cells, etc., [Metchnikoff] made elaborate and important investigations tending to show that…the battle is really between the white blood-cells and the microbes…” Sedgwick was interested in the evolving field of immunology because of his beliefs in his theory of vital resistance. Metchnikoff was married twice. His first marriage to Ludmilla Federovitch lasted only four years (1869 to 1873). She died of tuberculosis (or typhoid fever) in Madeira. He married Olga Belokopitova in 1875 and she stayed with him for the rest of his life. She was devoted to him and his research and collaborated with him on his work. Metchnikoff died on July 15, 1916 at the age of 71. “Decades later, in the early 1980s, two research teams showed definitively that white blood cells (phagocytic leucocytes) kill microbiological invaders of the human body through a process involving the production of hypochlorous acid and chloramines at the cellular level. Both of these chemicals are toxic to invading organisms. Online videos demonstrating the process of phagocytosis are helpful in understanding the mechanisms. A figure and the accompanying text in a recently published book on immunology illustrate the reaction mechanisms that produce hypochlorous acid and chloramines. This entry was posted in Year 3 TDIWH and tagged Elie Metchnikoff, hypochlorous acid, immunity, Nobel Prize, phagocytic leucocytes, phagocytosis, water on May 16, 2015 by safedrinkingwaterdotcom. July 15, 1916: Death of Elie Metchnikoff, Nobel Prize winner. On May 16, 1845, [also listed as May 15] Elie Metchnikoff was born in a village near Kharkoff, Russia (about 350 miles northeast of Odessa in what is now the country of Ukraine). He studied natural sciences at the University of Kharkoff graduating after only two years. He attended a number of universities in Europe after his degree and finished his doctorate at the University of St. Petersburg. At the incredibly young age of 25, he was appointed Titular Professor of Zoology and Comparative Anatomy at the University of Odessa. In 1884, he left Odessa for Italy after the assassination of Czar Alexander II. In his well-known book on public health, which was published in 1902, William T. Sedgwick explored the bodies defenses against microorganisms and noted Elie Metchnikoff’s theory of immunity. “…starting with the [now] well-known fact that the white blood-cells are eating –cells (or phagocytes) and readily devour yeast-cells, bacteria-cells, etc., [Metchnikoff] made elaborate and important investigations tending to show that…the battle is really between the white blood-cells and the microbes…” Sedgwick was interested in the evolving field of immunology because of his beliefs in his theory of vital resistance. Decades later, in the early 1980s, two research teams showed definitively that white blood cells (phagocytic leucocytes) kill microbiological invaders of the human body through a process involving the production of hypochlorous acid and chloramines at the cellular level. Both of these chemicals are toxic to invading organisms. Online videos demonstrating the process of phagocytosis are helpful in understanding the mechanisms. A figure and the accompanying text in a recently published book on immunology illustrate the reaction mechanisms that produce hypochlorous acid and chloramines. John L. Leal would have had an easier time convincing the New Jersey Chancery Court that adding chlorine to drinking water was an excellent tool for killing the typhoid bacillus if he had known that cells in the human body use the same chemical as part of an innate mechanism for defense against pathogens. The information would also have been of great help to engineers and city leaders who later added chlorine and chloramines to drinking water in the face of continuing public chemophobia. Reference: McGuire, Michael J. 2013. The Chlorine Revolution: Water Disinfection and the Fight to Save Lives. Denver, CO:American Water Works Association. This entry was posted in Year 2 This Day in Water History and tagged Elie Metchnikoff, hypochlorous acid, immunity, Nobel Prize, phagocytic leucocytes, phagocytosis, The Chlorine Revolution, water on July 15, 2014 by safedrinkingwaterdotcom. In his well-known book on public health, which was published in 1902, Sedgwick explored the bodies defenses against microorganisms and noted Elie Metchnikoff’s theory of immunity. “…starting with the [now] well-known fact that the white blood-cells are eating –cells (or phagocytes) and readily devour yeast-cells, bacteria-cells, etc., [Metchnikoff] made elaborate and important investigations tending to show that…the battle is really between the white blood-cells and the microbes…” Sedgwick was interested in the evolving field of immunology because of his beliefs in his theory of vital resistance. This entry was posted in Year 2 This Day in Water History and tagged Elie Metchnikoff, hypochlorous acid, immunity, Nobel Prize, phagocytic leucocytes, phagocytosis, water on May 16, 2014 by safedrinkingwaterdotcom. In 1888, Metchnikoff left Russia and all of the conflicts and problems that plagued him there and went to work for the world’s foremost bacteriologist, Louis Pasteur. He worked at the Pasteur Institute until he died in 1916. His publication of Lectures on the Comparative Pathology of Inflammation in 1891 and its English translation in 1893 gained him world-wide acclaim. He was awarded the Nobel Prize in Medicine in 1908 which he shared with Paul Ehrlich for his work in immunology. This entry was posted in This Day in Water History and tagged Elie Metchnikoff, hypochlorous acid, immunity, Nobel Prize, phagocytic leucocytes, phagocytosis, The Chlorine Revolution, water on July 12, 2013 by safedrinkingwaterdotcom. This entry was posted in This Day in Water History and tagged Elie Metchnikoff, hypochlorous acid, immunity, Nobel Prize, phagocytic leucocytes, phagocytosis, water on May 18, 2013 by safedrinkingwaterdotcom.